Ribbon Cuttings are available anytime during your first six months of membership and also for Business 're-openings' after re-modernization or moving to another address, and are a great way to meet new Chamber members. Ribbon Cuttings provide a rare opportunity to "look under the hood" of businesses and learn more about our community's wide array of products and services. No RSVP is necessary and there is no charge to attend. Ribbon Cuttings can be scheduled Monday through Friday and you can include light refreshments. 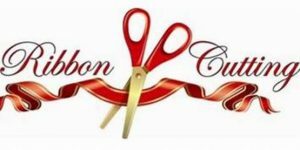 For information on scheduling a Ribbon Cutting contact the Chamber office at 219-836-5549 or email info@chambermunster.org. Notify its membership of the event through our weekly Chamber Newsletter. Add your event to the online calendar on the Chamber website. Provide giant scissors, red ribbon, and set up the group for a great photo. Use the photo from the event on Social Media post and the Chamber website. Develop an Invitation list - Invite your potential and current customers, suppliers, and employees. Is the public invited? If so, try to send a press release to the local media a minimum of two weeks prior to the event. Plan a menu - If expenses allow, try to have some refreshments on hand. Suggested menus include light hors d'oeuvres, finger foods and beverages. Plan the photo - Try to designate in advance the location where the actual ribbon cutting photo will take place and who will be in the pictures. Display or give away gifts or promotional items with your logo or company name.